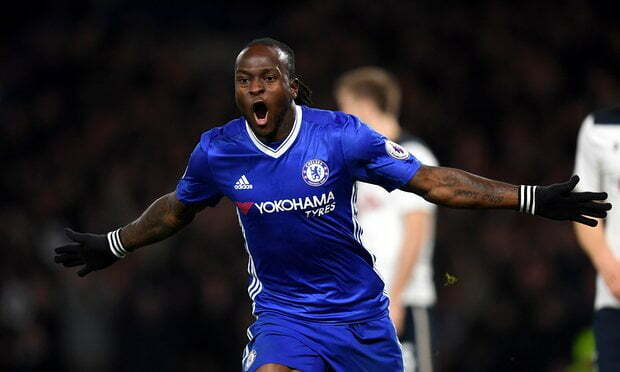 Chelsea manager, Antonio Conte has said that winger, Victor Moses’s is an important player for the Blues. Conte made this know while speaking at a press conference on Tuesday ahead of Chelsea home game against Swansea. The Blues gaffer also admitted that Moses hamstring injury was a problem and a blow to the Premier League champions. ”He is in contention but at the same time I have to make the best decision for every player,” Conte was quoted as saying by Football.London. Having made the bench against Liverpool last weekend, the Italian coach hinted that Moses is lacking match fitness ahead of the visit of Swansea City, but may be included in the match day squad. Moses was absent for eight matches after sustaining an injury against his old club Crystal Palace on October 14. The Nigeria international only resumed full training with the first team a week ago. He has played only eight games for Chelsea in the current season from a possible 21 in all competitions, including the Community Shield.